The Twins won World Series in 1987 and 1991 based on a great number of Draft Picks. When the team struggled for a decade after the 91 Title, the club used another core of players drafted for another successful run. Now after a 3 year plus hiatus from contention, the club has been stockpiling great talent in the Minors, and maybe ready for another run really soon. Quite frankly, the Twins Roster Tree for the hitters was pretty uneventful. The majority of the players were drafted by the team – or signed as a Free Agent. The greatest form of a chain of transactions revolve around Eduardo Escobar. The Twins Utility Infielder can be traced all the way back to them drafting A.J. Pierzynski. That trade enabled the franchise for a string of Division wins based on the players brought back. Joe Nathan and Francisco Liriano were key contributors for almost a decade each. Liriano was dealt in 2012 for the Utility Infielder. Josh Willingham and Kurt Suzuki highlight the club’s Free Agent signings. These guys may be made available for the pending Trade Deadline. The Twins are an organization that has built within a couple of separate times for lengthy success runs. 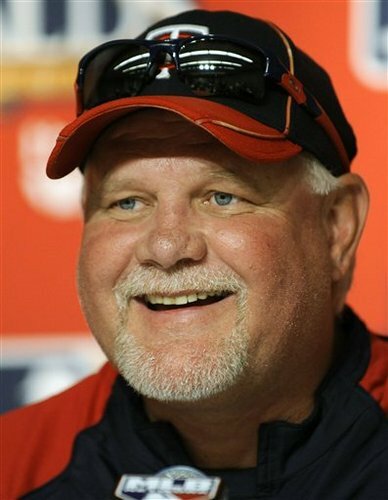 Ron Gardenhire and Tom Kelly have been the only 2 men to manage the Twins in the last 27 years. Having stability in the Manager and GM position lends itself for a proper run franchise in terms of on the field success. The Twins will give Gardenhire the chance to rebuild with this club yet again. Stocked with several young prospects, we could the club turn around to be a contender again in the next few years. The Minnesota Twins have had 3 – 90+ Losses Seasons in a row. This came right on the heels of the franchise having made the playoffs 6 out of 9 years. All of those Post Season Appearances were made as Division Champions from the AL Central. The Twins had enough smarts about them to understand where they were in the 1990’s. The management knew the club was better off building within – rather than spending via Free Agency. From 1993 – 2000, the team never finished better than 4th in the Division they played. The club drafted really high for this time period, and had a nice renaissance by the time 2001 started. Ron Gardenhire and Tom Kelly have been the only 2 men to manage the Twins in the last 26 years. Having stability in the Manager and GM position lends itself for a proper run franchise in terms of on the field success. The Twins will give Gardenhire the chance to rebuild with this club yet again. For a Full 3 year Salary Outlook plus last years Stats for every player in the Twins Organization click here.